The sun is shining, the snow is melting, and the sap is slowing down to a trickle. We have not had frost overnight for a few nights now, and the forecast is not showing any in the near future. As such, we anticipate that this may be our final weekend of production for the season. 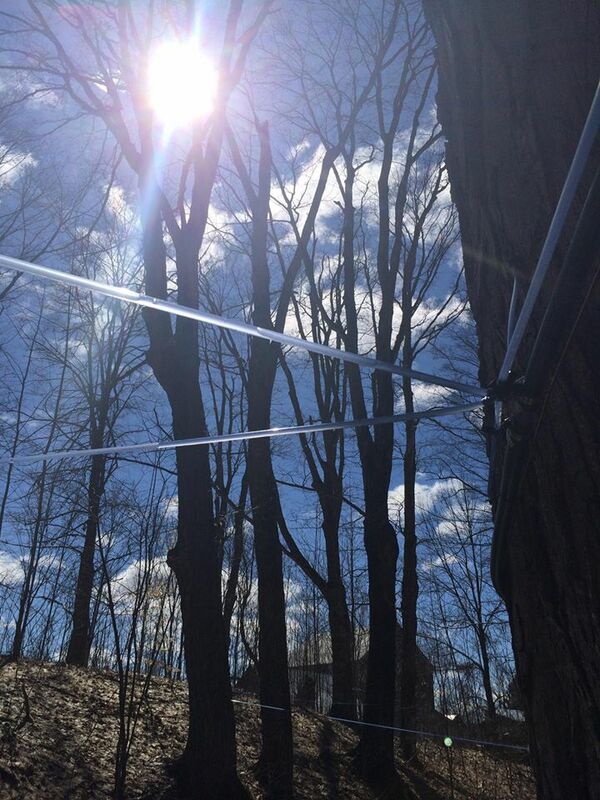 It is beautiful weather for a walk in the sugarbush, and it may be your last chance to see sap in the lines until next year so come by, say "Hi", and stock up on natural sweetness. We are open today and tomorrow from 1pm - 5pm.